Carnival Cruise Line is offering good deals right now for #ChooseCruise month, a promotion just for October with the Cruise Lines International Association (CLIA). With October being Choose a Cruise month many cruise lines are doing a great push with special incentives and deals to get cruisers booking that dream cruise. Carnival is among them by offering low fare rates, stateroom category upgrades, and an early booking bonus. The low rates are starting per person are starting from $259 on select 2-day to 5-day cruises and $469 on select 6-day cruises or longer. As always when it comes to special promotions it only applies to select sailings through December 2019. Cruisers will have until the end of October 2018 to take advantage. Any qualified bookings during the Choose Cruise month will also get free two-category upgrades. Carnival is also offering an added extra with an early booking bonus. This deal will only run for the first week of October ending on the 8th. 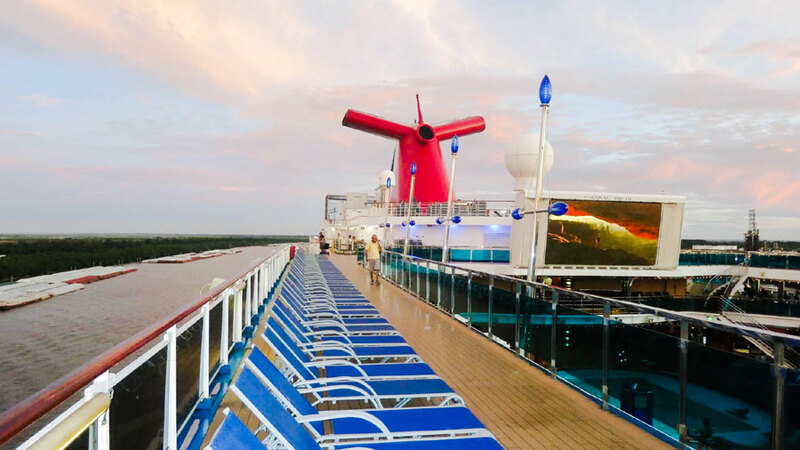 Those booking 2-day to 5-day cruises can receive a $25 onboard credit per cabin. Those booking 6-day and longer sailings will get $50 credit. Just remember when it comes to these sales and promotions not just from Carnival but others too, there are always terms and conditions. It’s important to read the small print before booking and there is only a limited time. Do check the official Carnival site for all the latest on these offers. We’ve already posted about MSC Cruises and the great deals being offered for October, have a read right here.